Mary Donlan is a painter based in Campbell River on Vancouver Island in British Columbia, Canada. She was born in Grimsby, Ontario and earned a B.F.A. at the University of Western Ontario where she studied under Patterson Ewen. 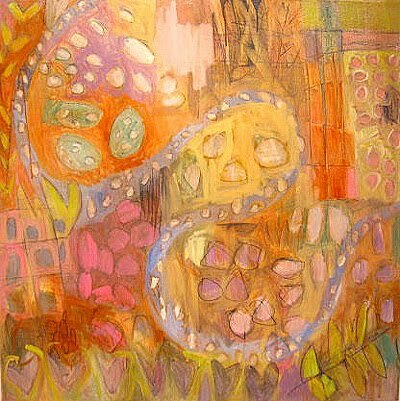 Mary lived in London for 20 years where she was a member of the artist-run Forest City Gallery. While living in London she was introduced to the work of many terrific local artists. She moved to Vancouver Island in 2007 where she started the SeedBed series which is an ongoing body of art. Mary paints in the tradition of abstract expressionism with a collage aesthetic. 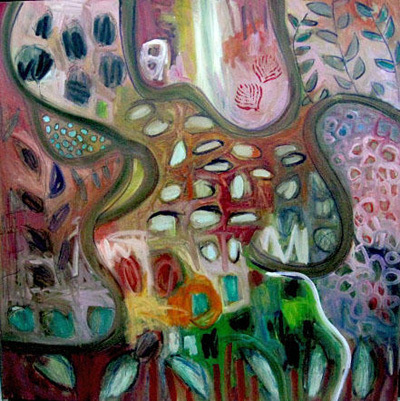 Mary is developing her painterly vocabulary is based on the plant world – forests and garden are her favourite places.